A hipped roof creates a graceful and artistic timber frame structure, such as a gazebo. The peak requires more complex joinery than a simple mortise and tenon. 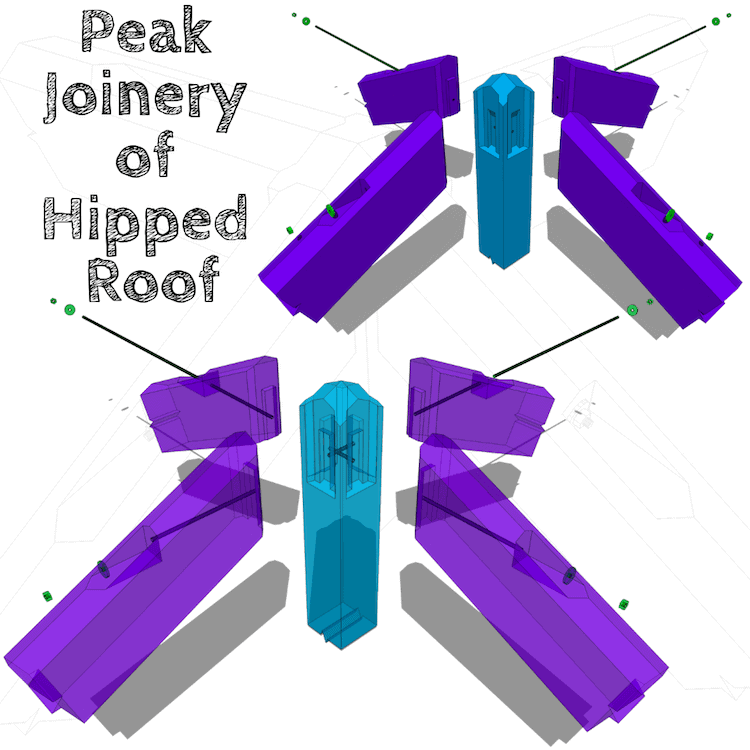 In the peak joinery of a hipped roof, you have four rafters joining to the king post or boss pin. 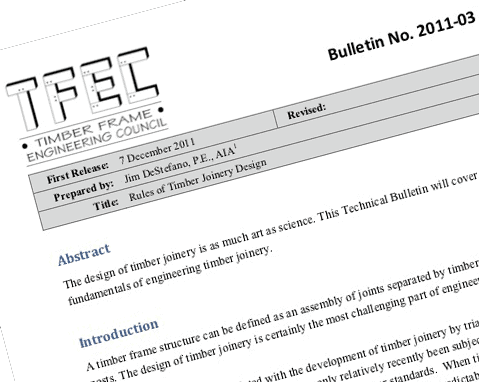 The fun and challenging compound joinery is required. In order to preserve as much wood as possible, structural all thread rod is used to strengthen the joints and to resist the loads exerted. The rafters are housed into the king post. 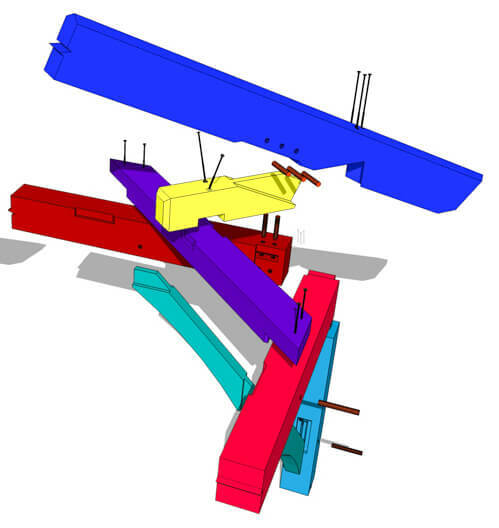 In this example, there is a 1″ housing cut into the post, and the roof load is supported by the bearing surface of the housing. 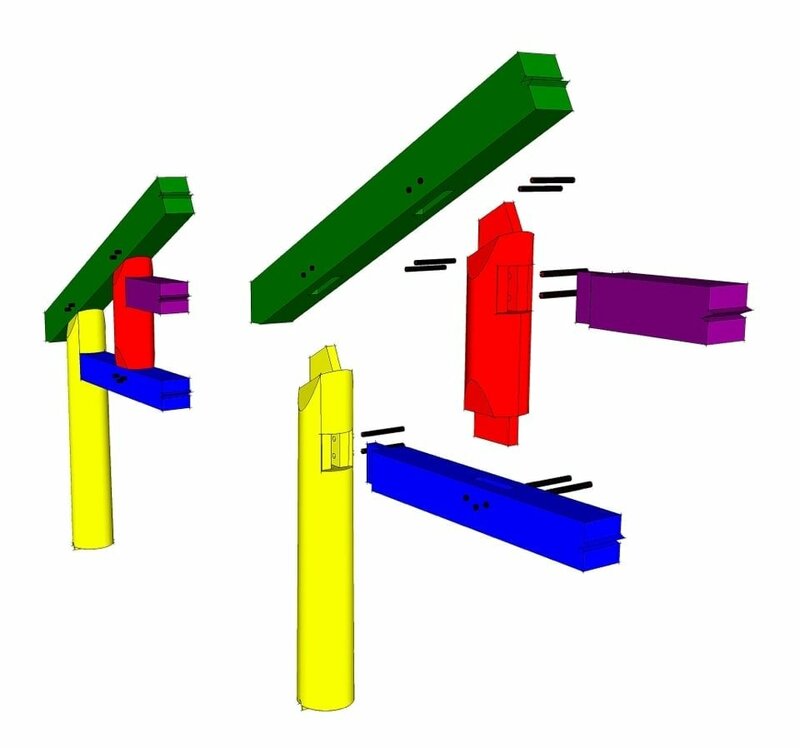 Housings for the all thread rod are notched into the upper part of the rafter and secure into the post, while being completely hidden from sight. 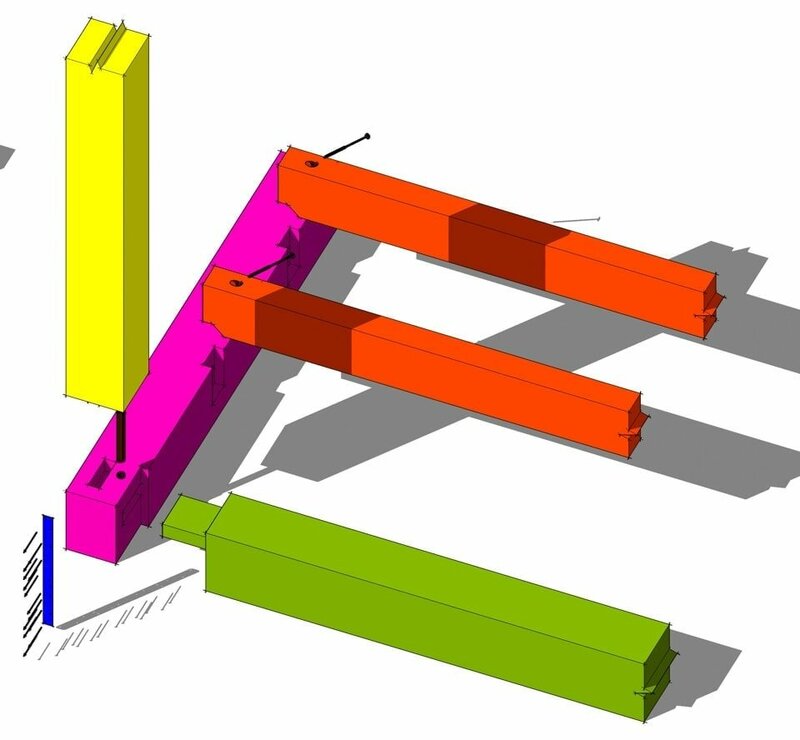 Each of the two all thread rods pass through the post and secure opposing rafters together, creating a super strong connection. 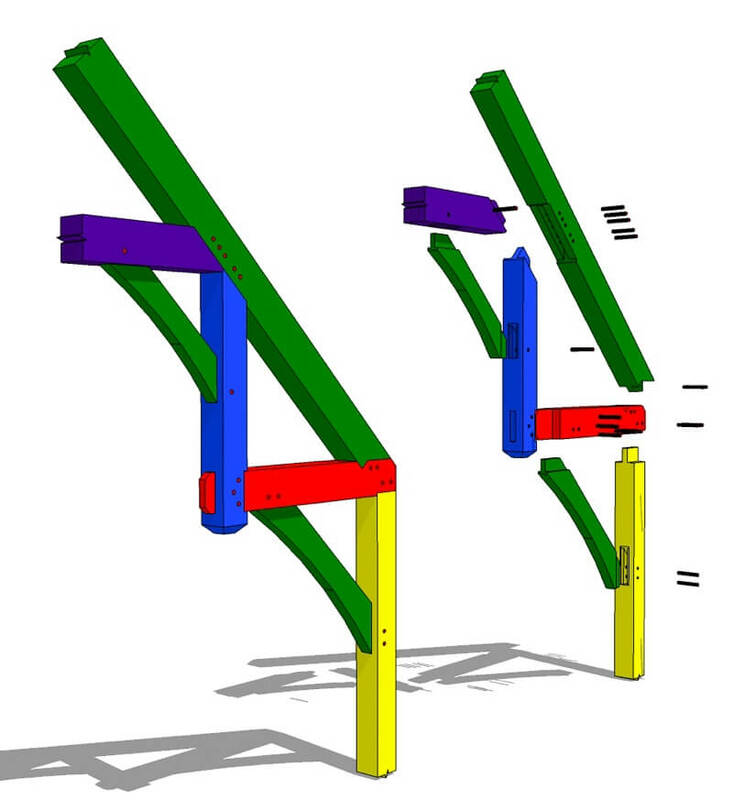 So this would work for a 6 or 8 rafter gazebo as well.